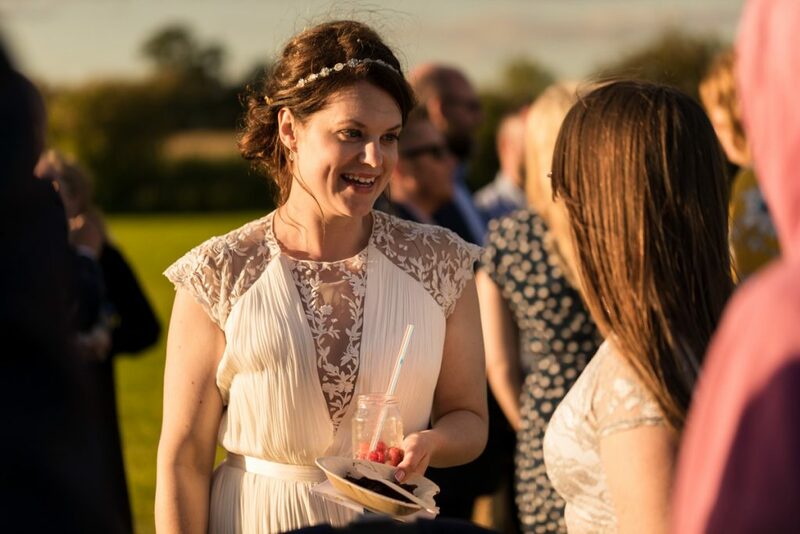 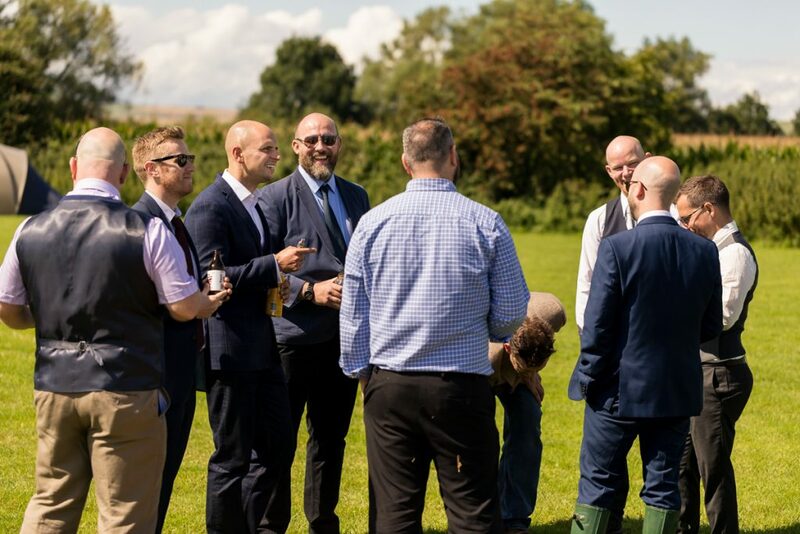 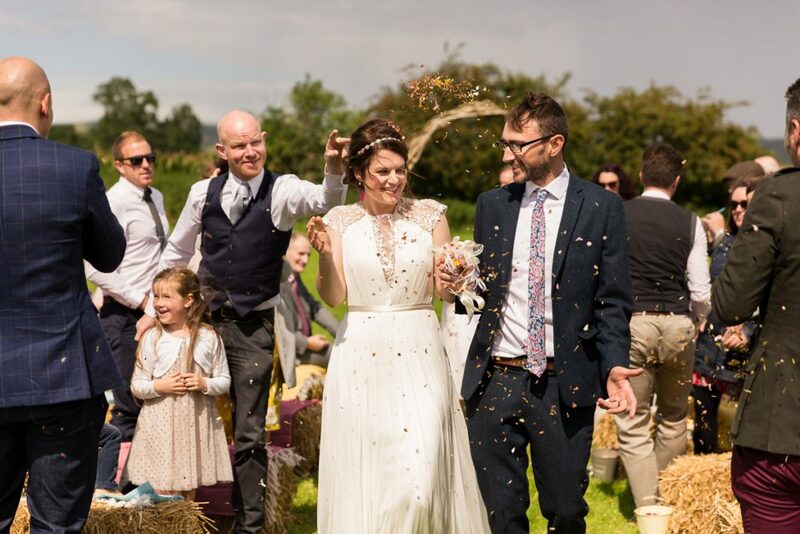 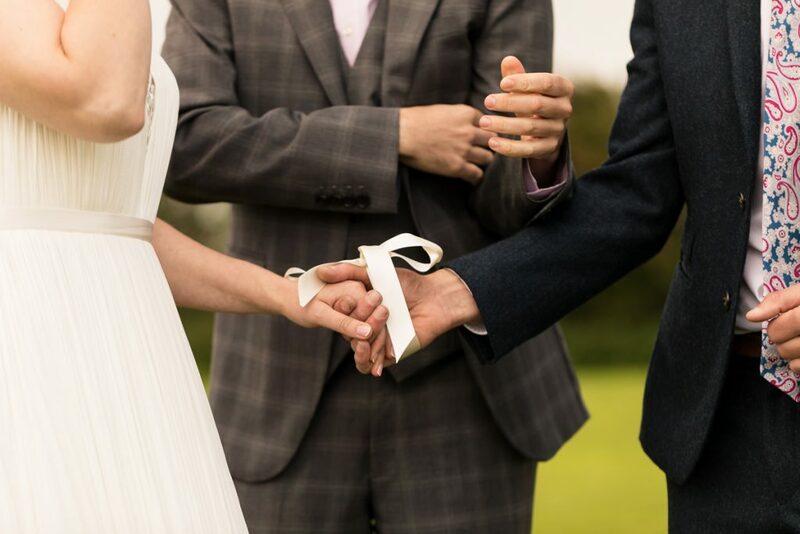 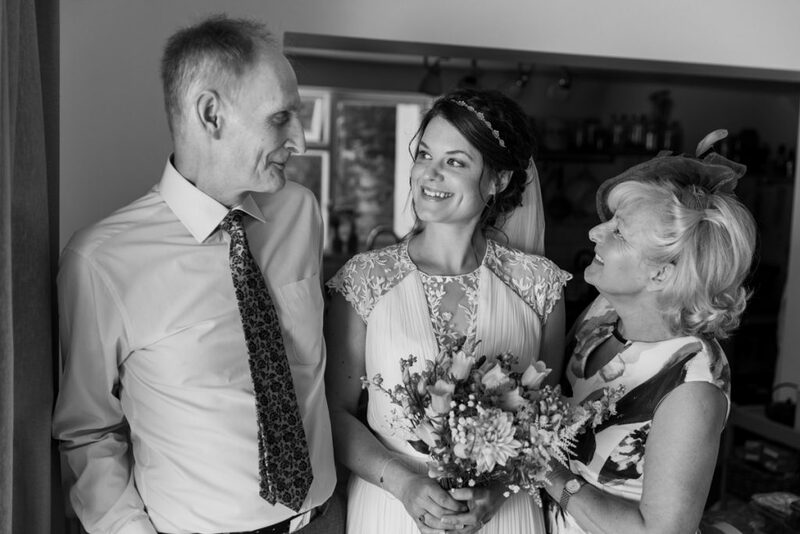 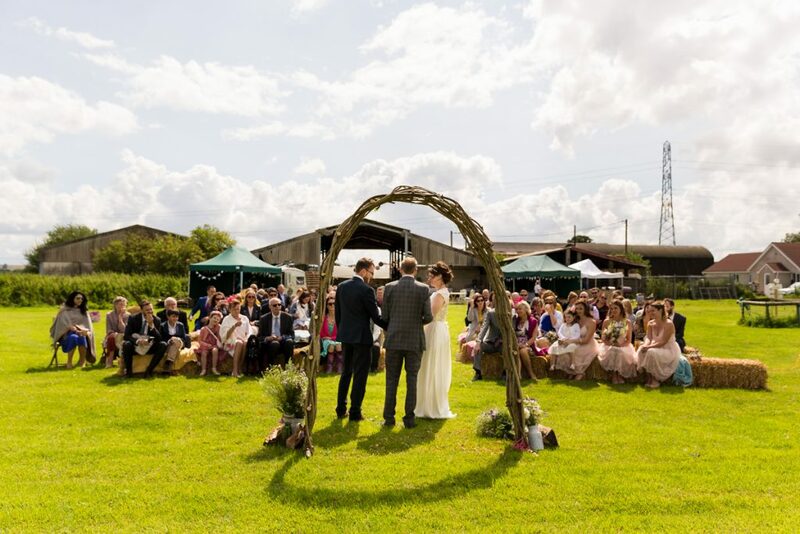 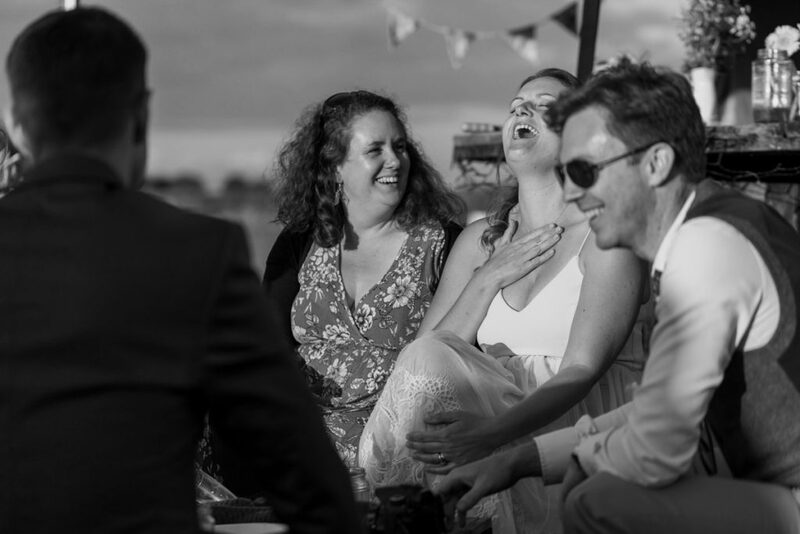 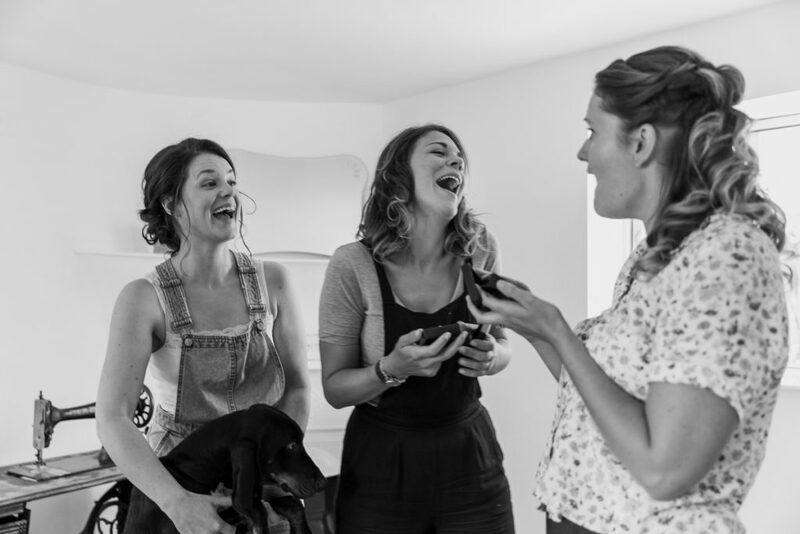 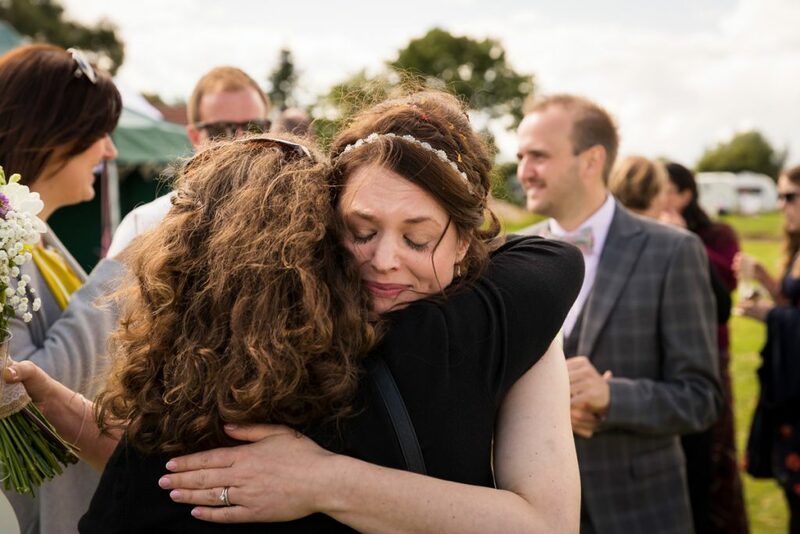 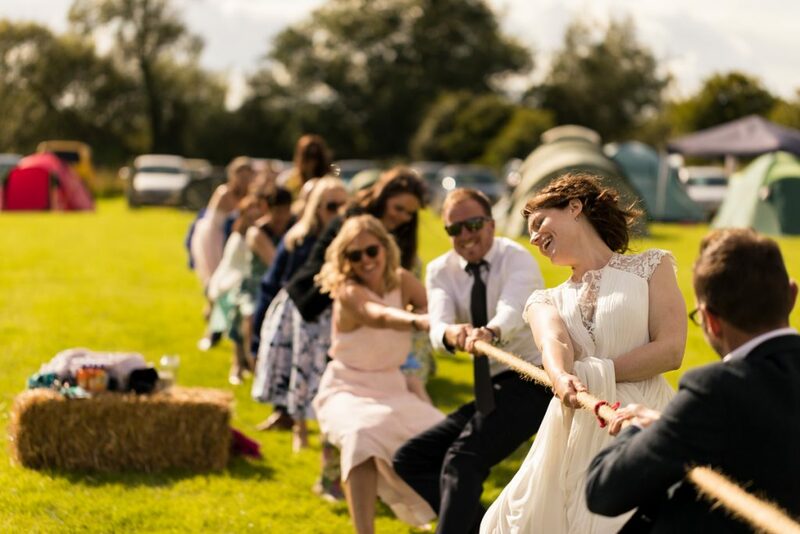 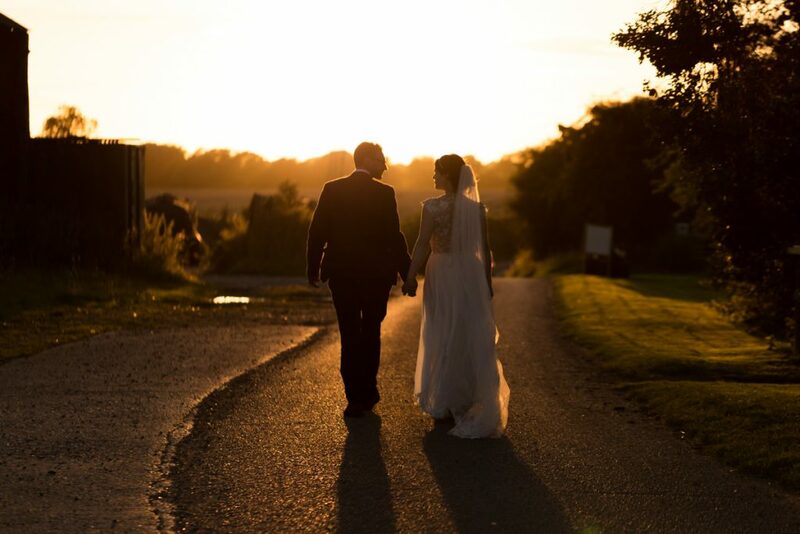 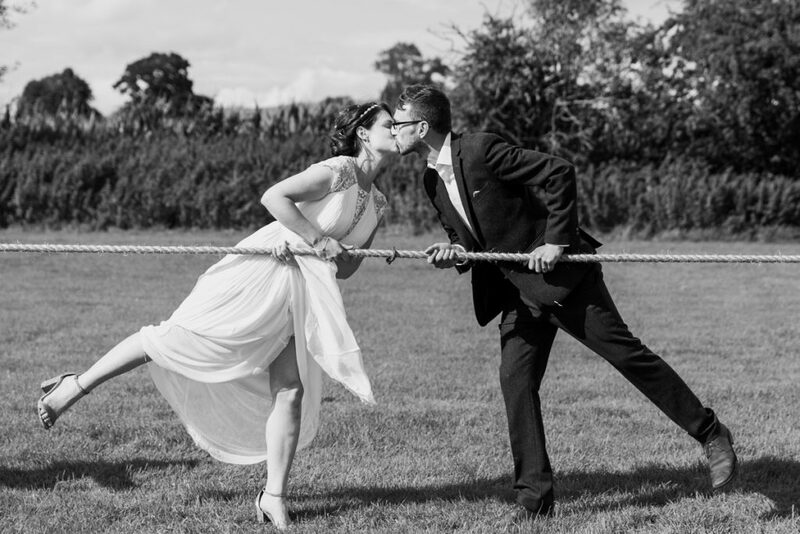 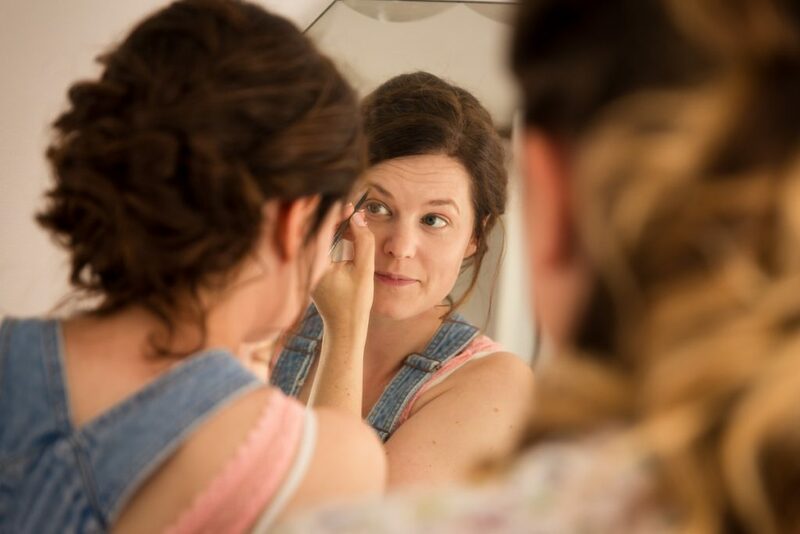 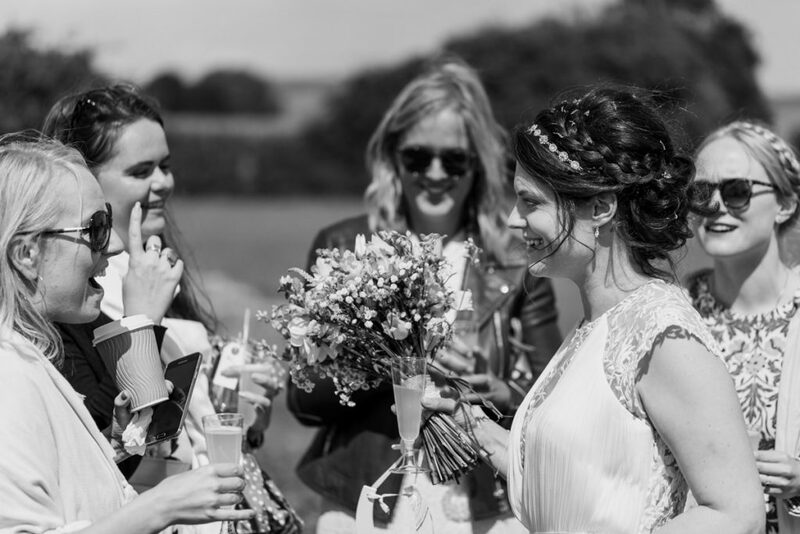 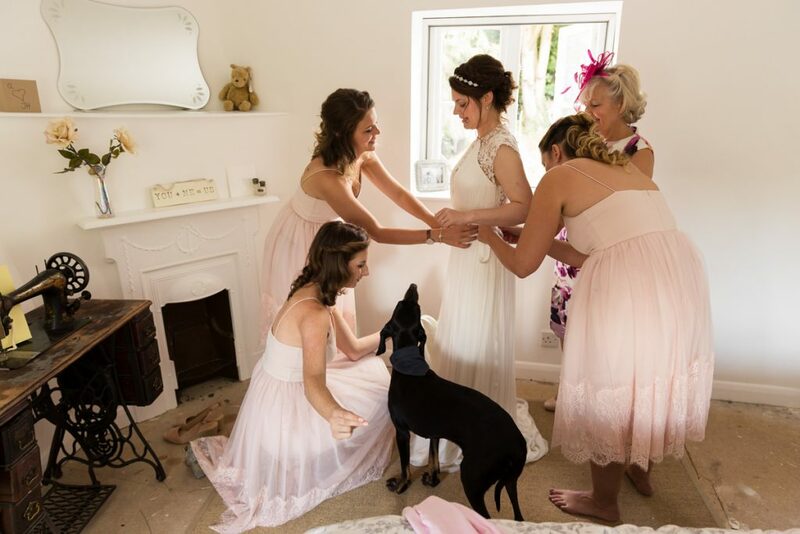 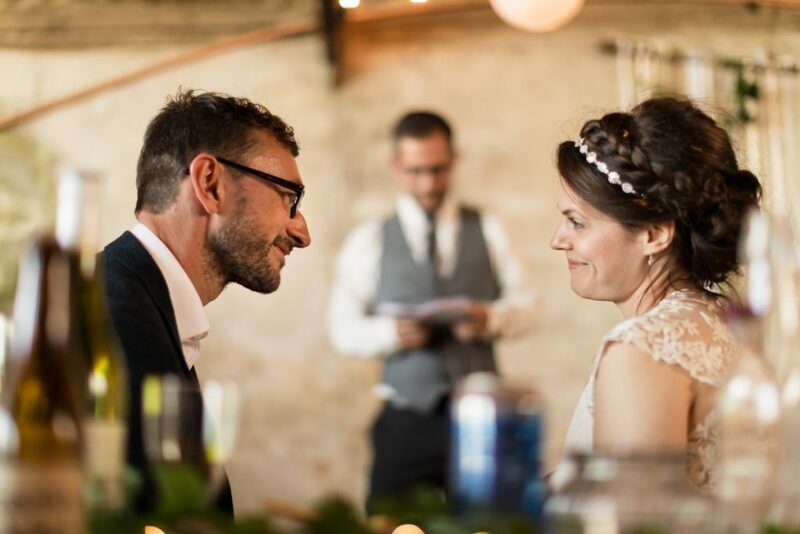 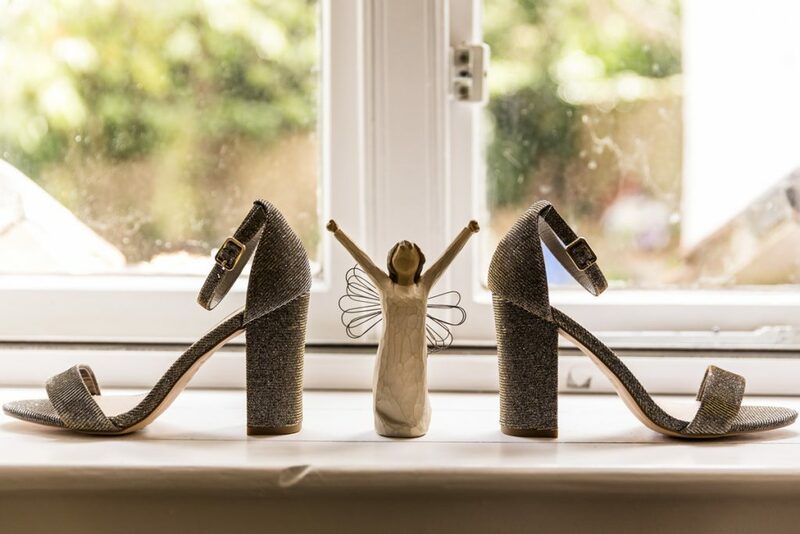 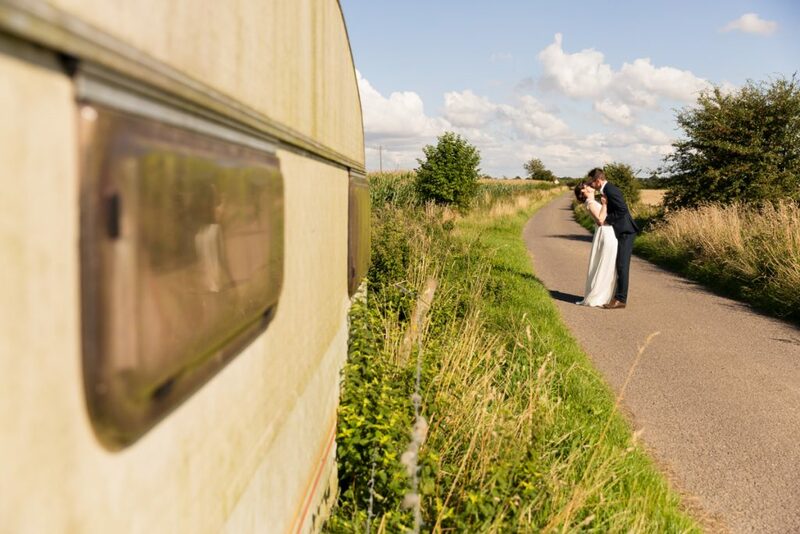 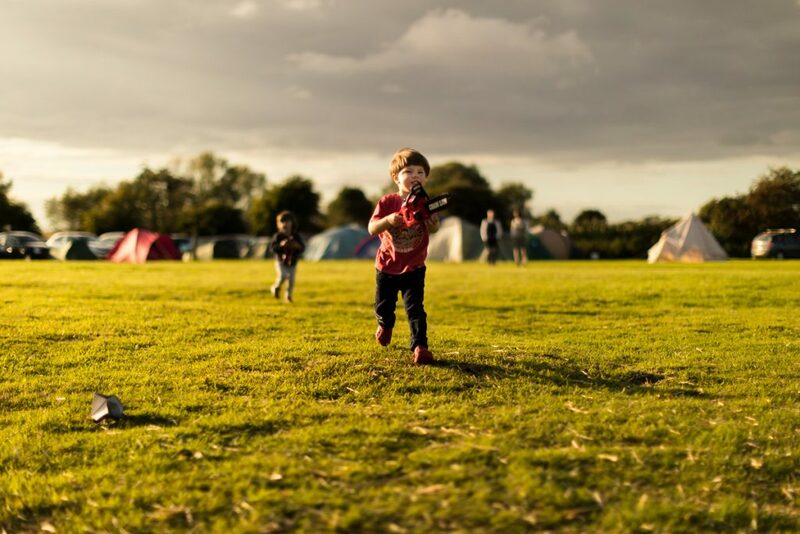 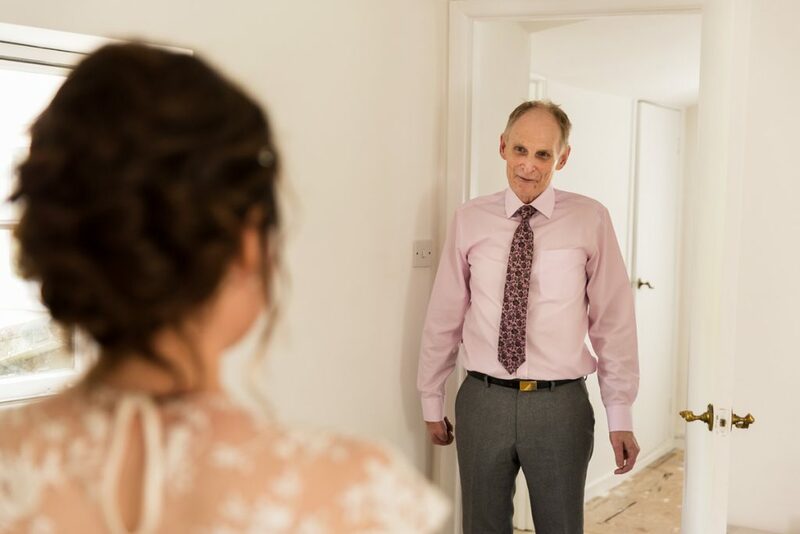 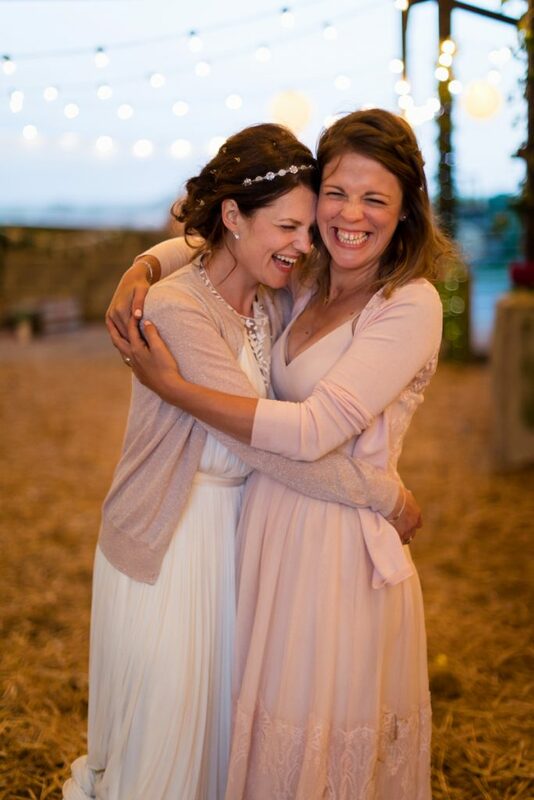 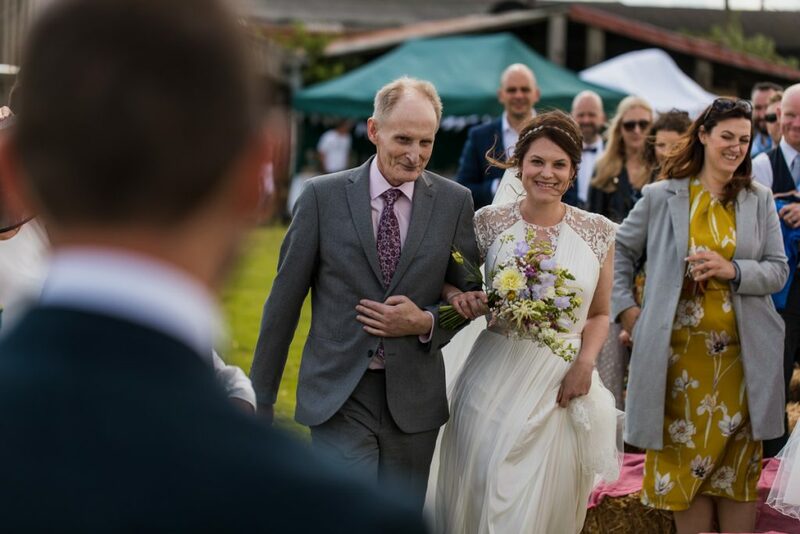 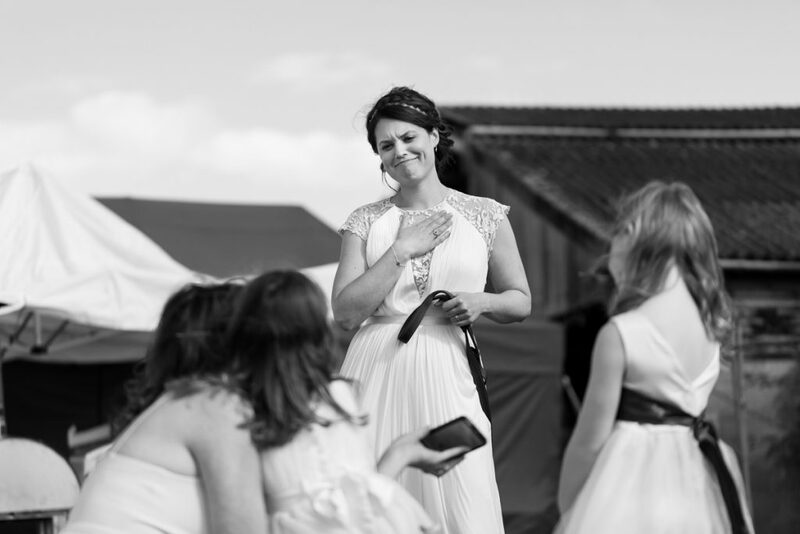 Cara and Jon’s country wedding in the fields of Little Owls Camping in Devizes was everything they dreamed it would be: relaxed, intimate, and a helluva lot of fun! 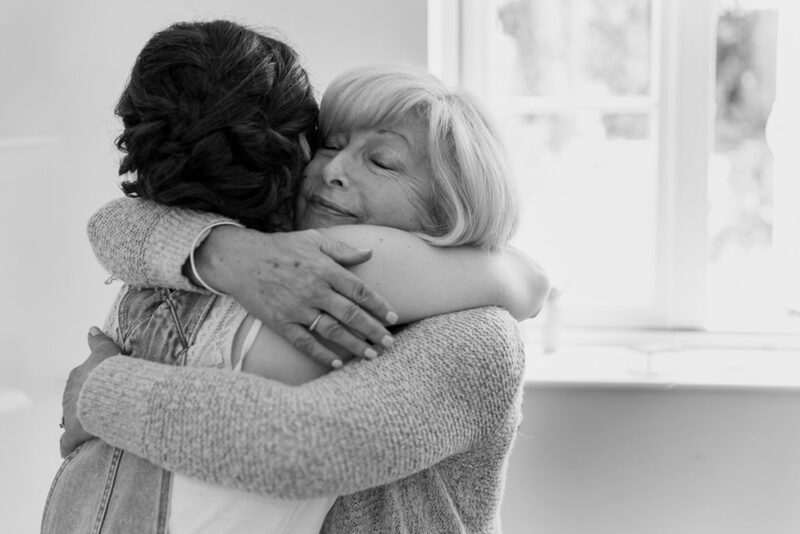 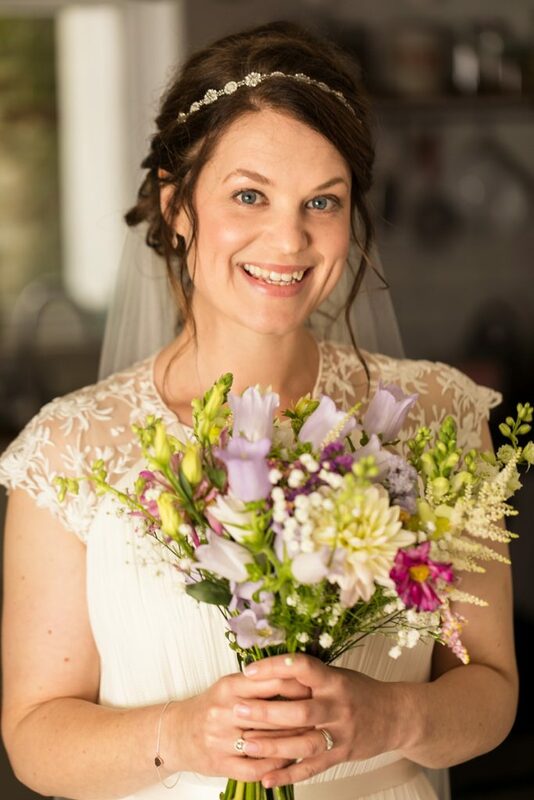 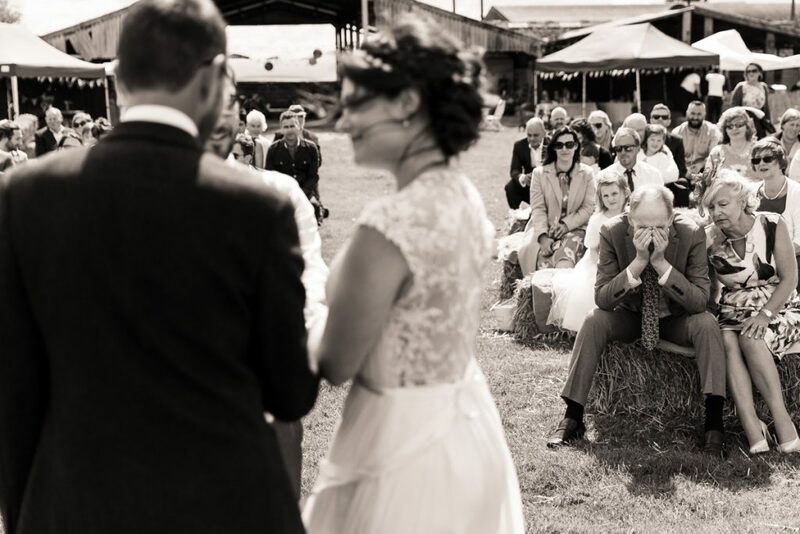 With less than half-an-hour until the bride’s arrival at the ceremony, guests were huddled under the shelter of the barn as the wind picked up and the rain came down. 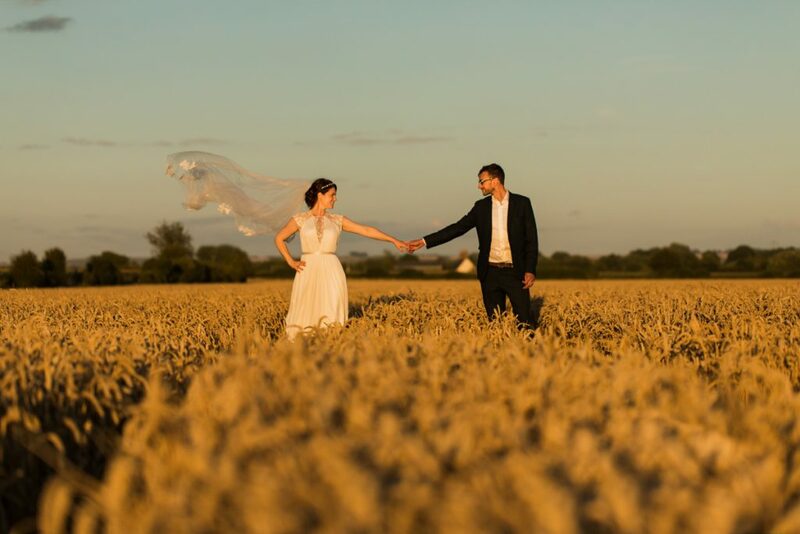 But fast-forward 30 minutes and the skies had cleared just in time for Cara’s walk down the hay bale-lined aisle towards the man of her dreams. 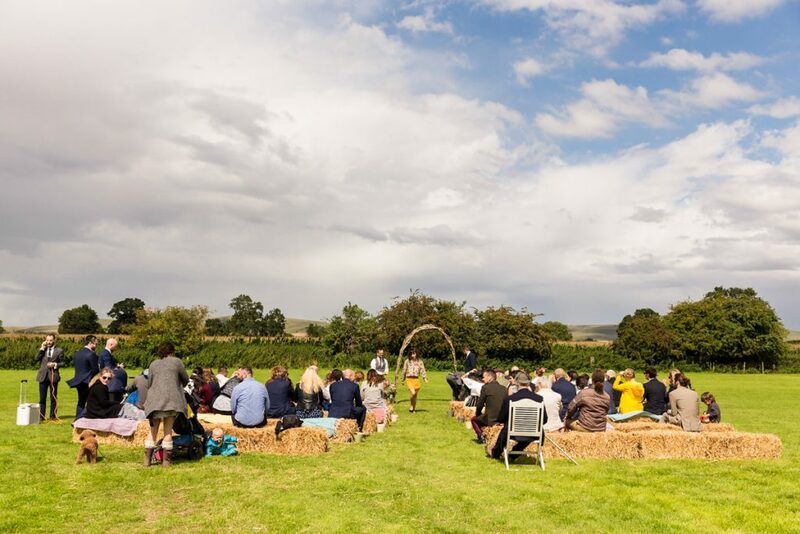 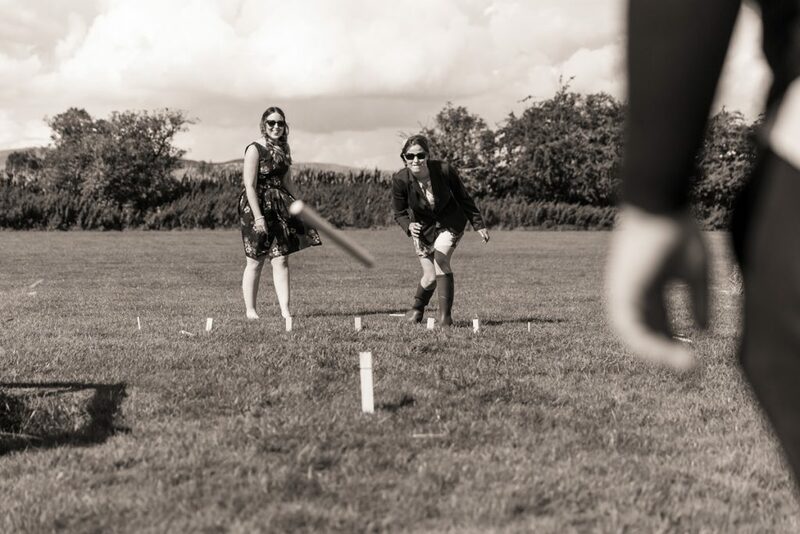 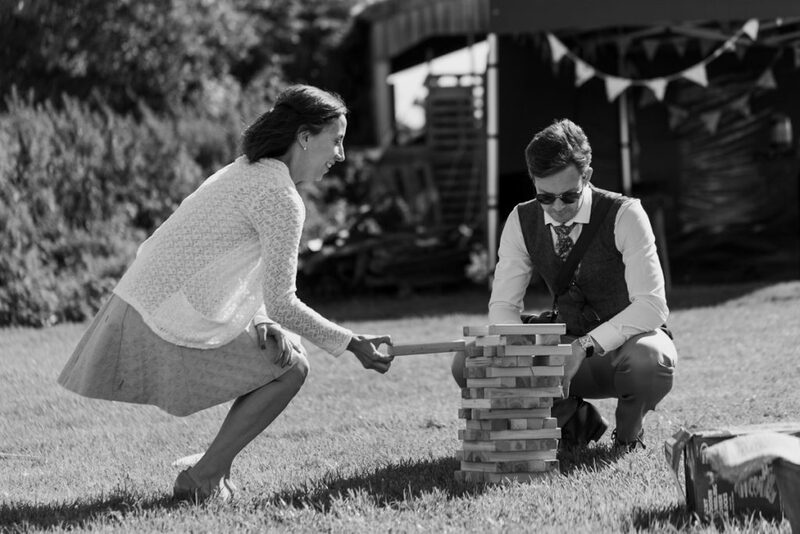 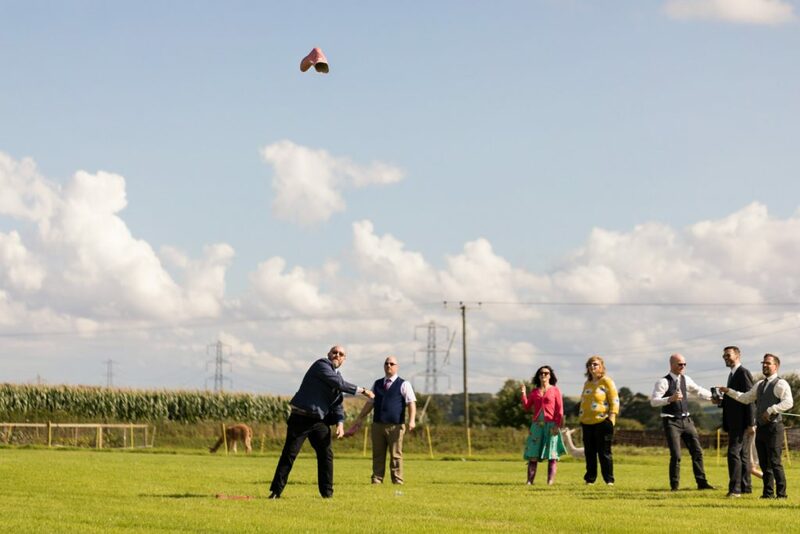 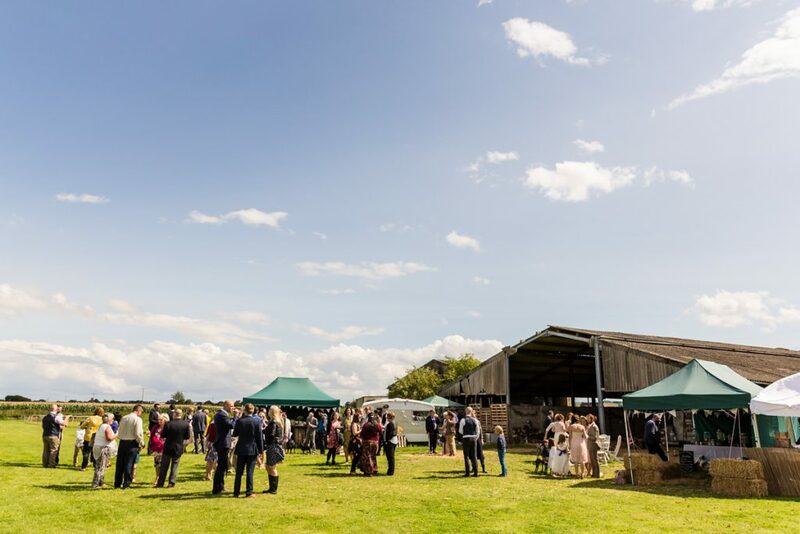 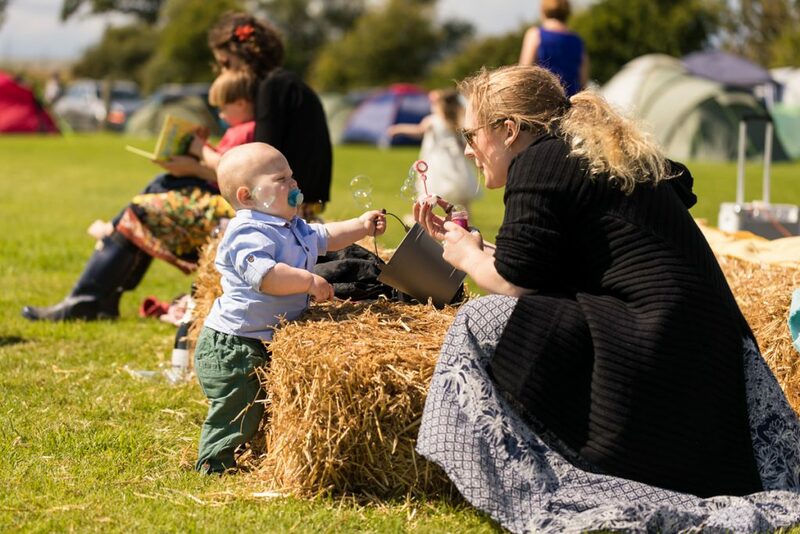 After the ceremony, the afternoon was filled with drinks, scones and enough party games to keep adults and kids entertained for hours; from tug-of-war and giant jenga to a hotly contested ‘wellie-throwing’ contest! 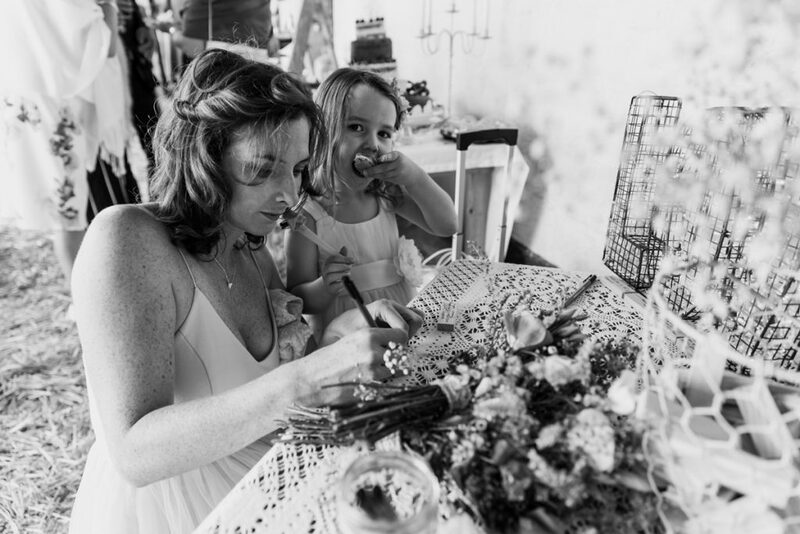 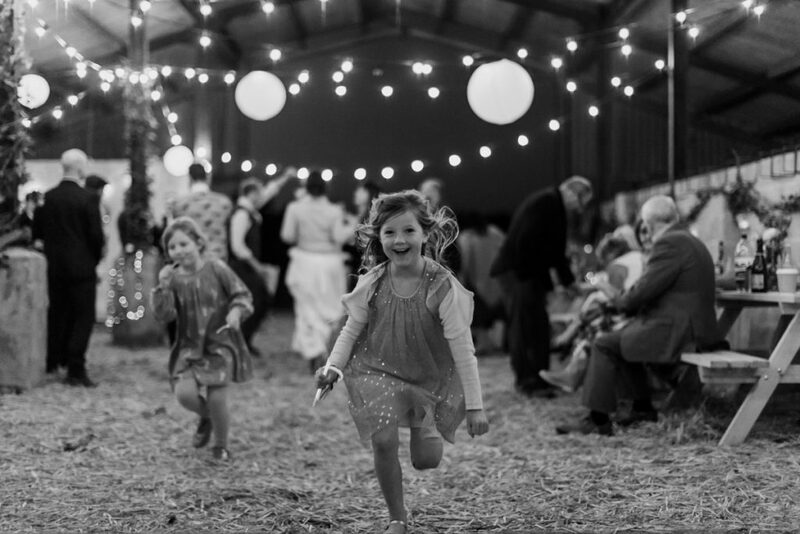 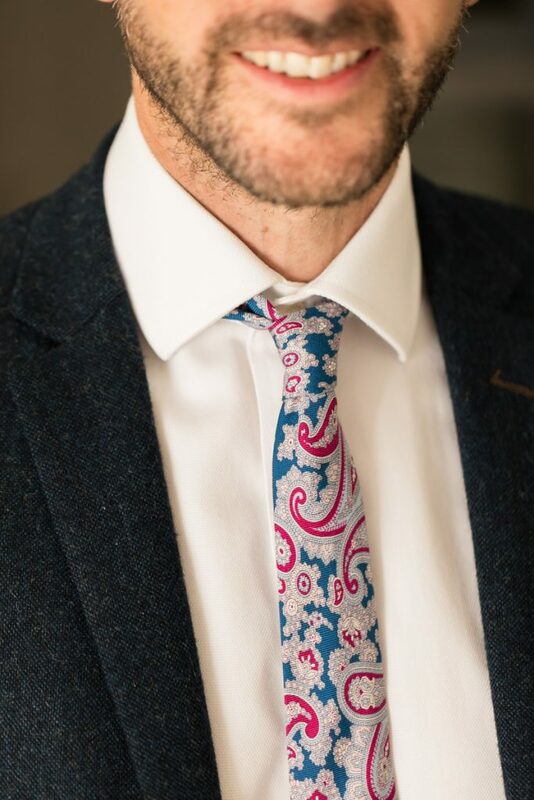 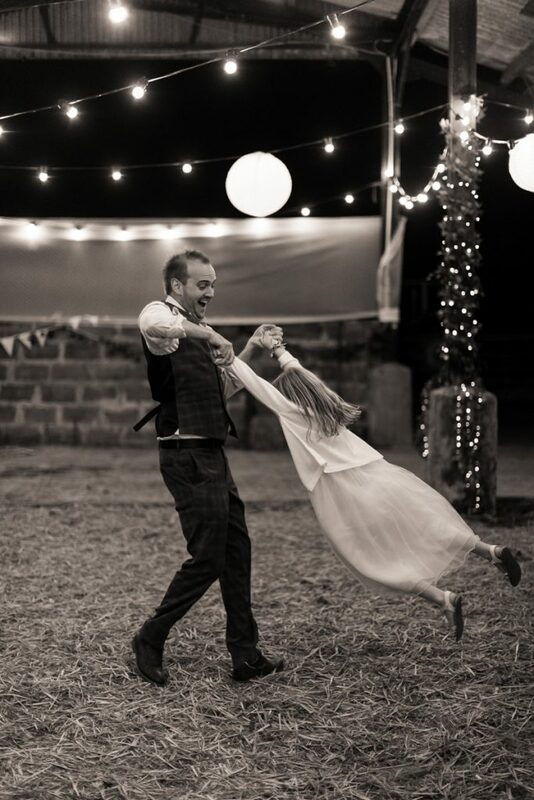 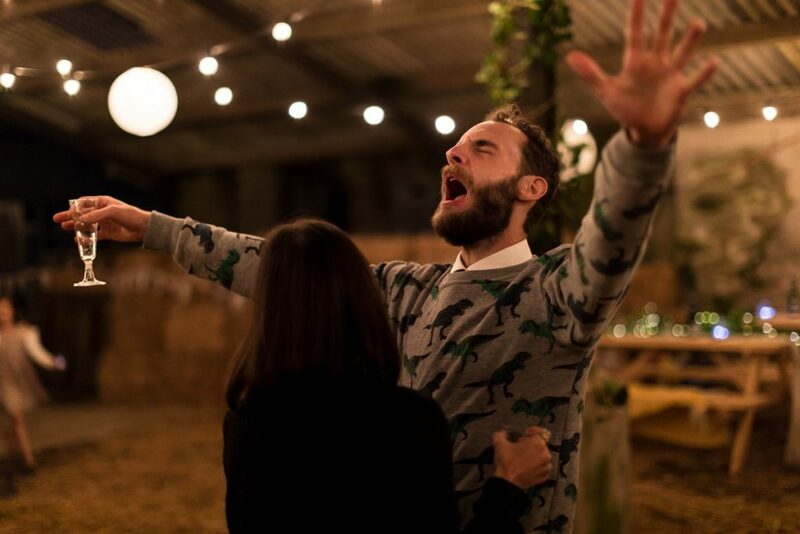 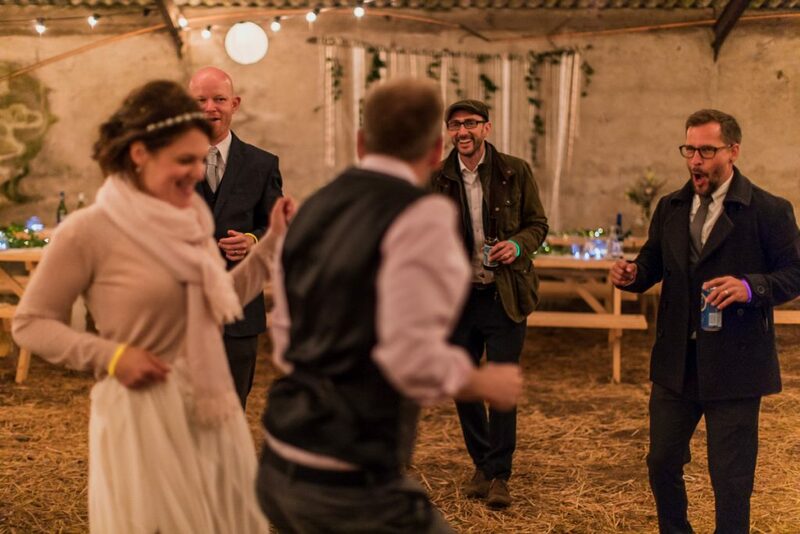 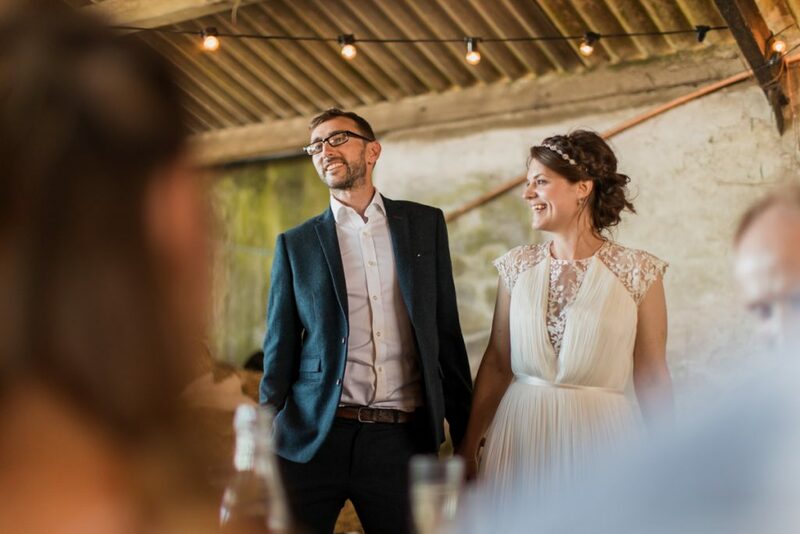 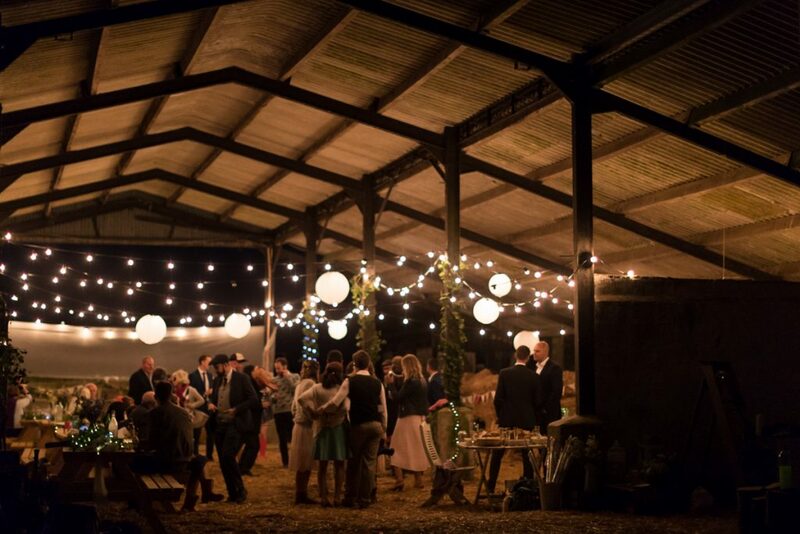 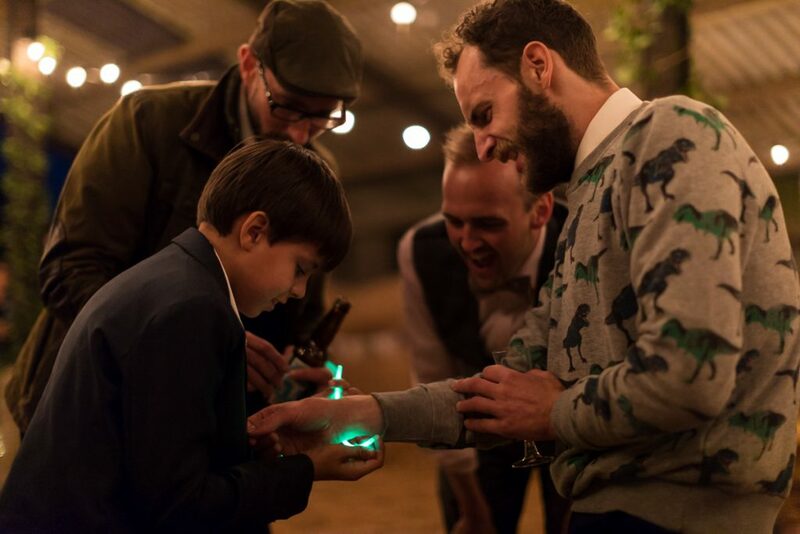 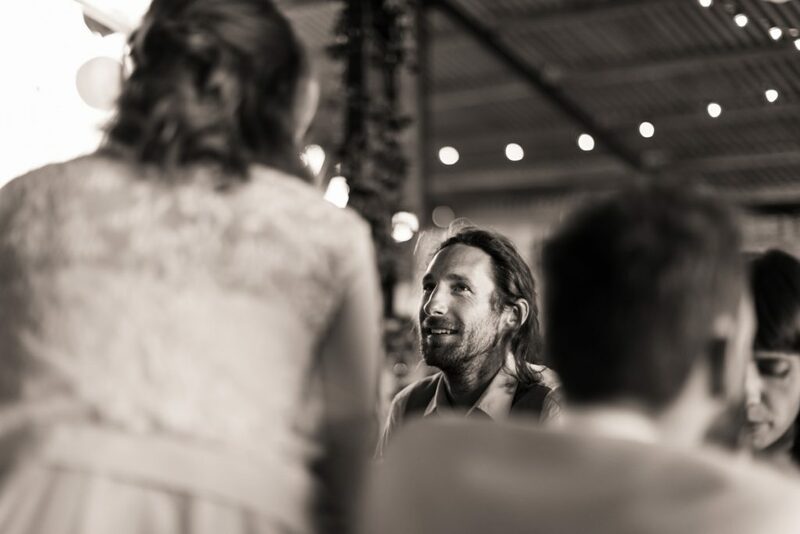 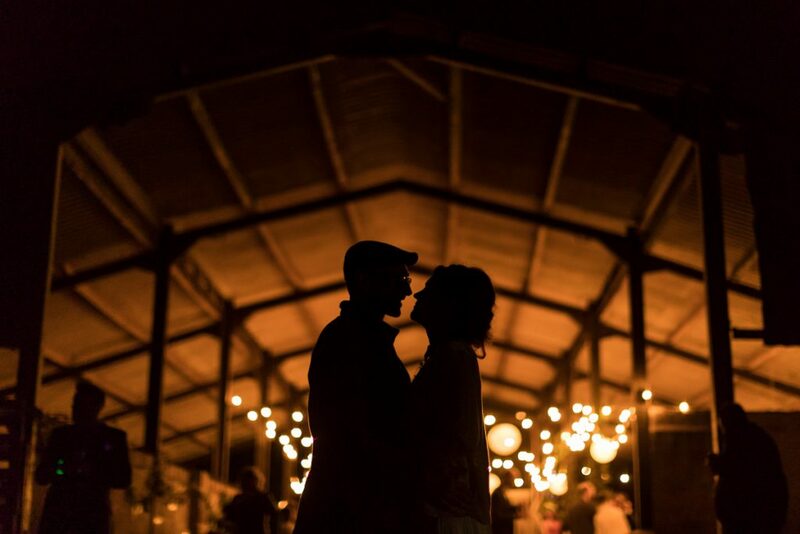 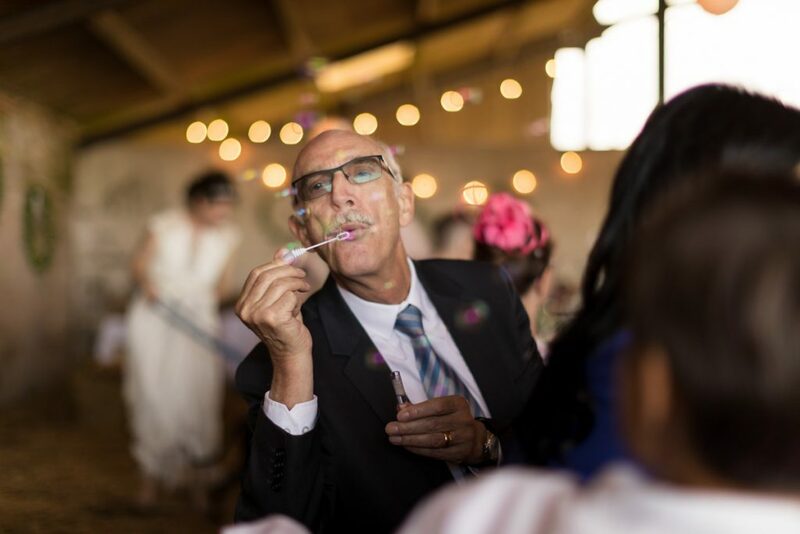 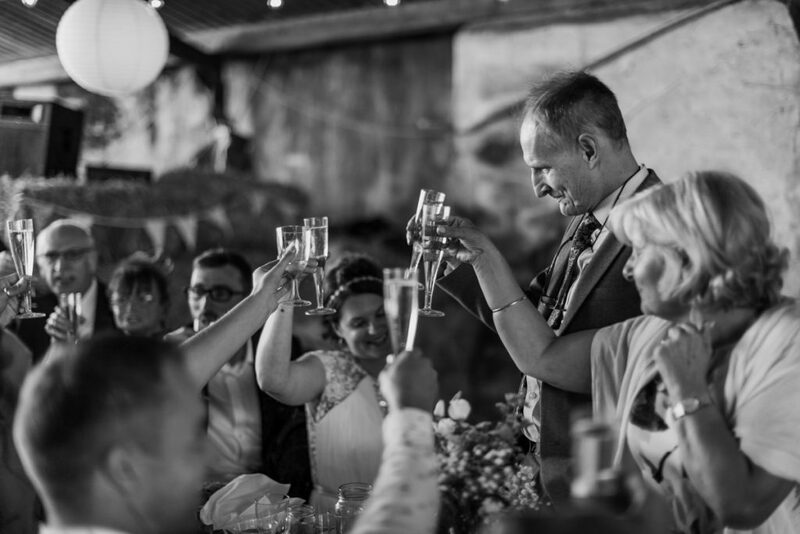 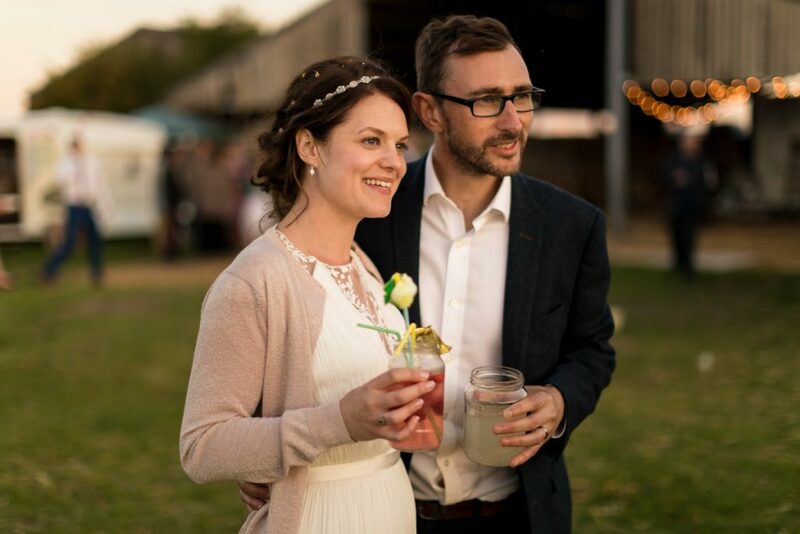 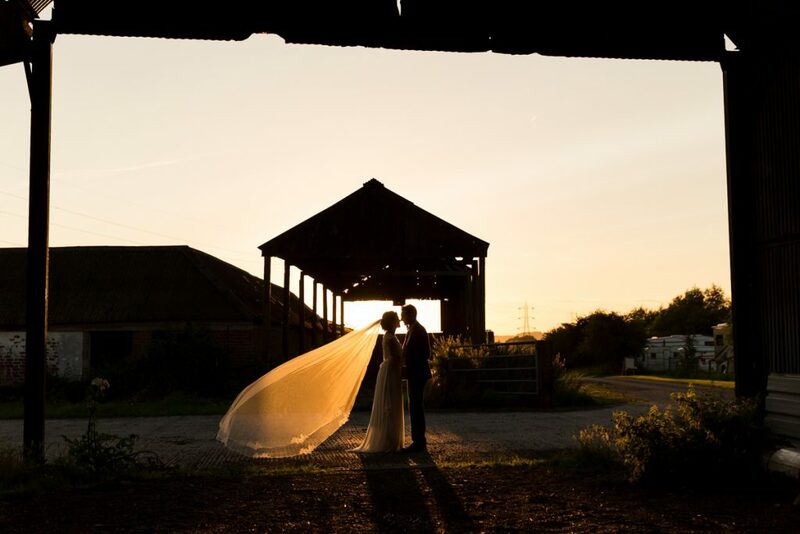 The rustic-decorated barn was the perfect location for an informal dinner, followed by Cara, Jon and a bunch of their favourite people in the world dancing the night away before crawling into their tents for a night of camping in the fields. 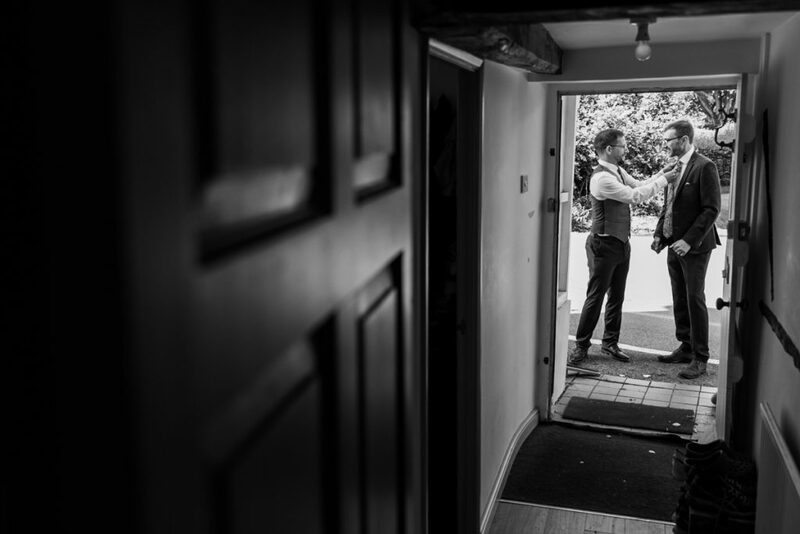 Cara and Jon, thank you for trusting me to capture the details, big and small, of your beautiful wedding day. 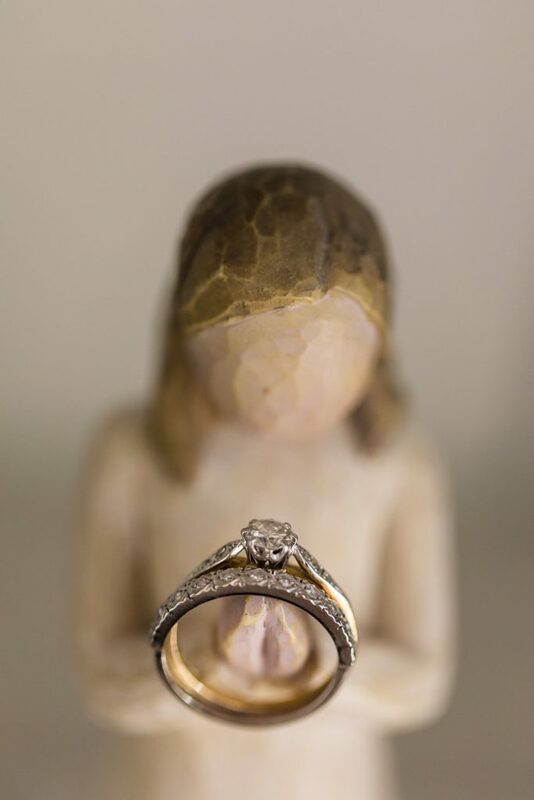 Here’s to a lifetime of happiness together!